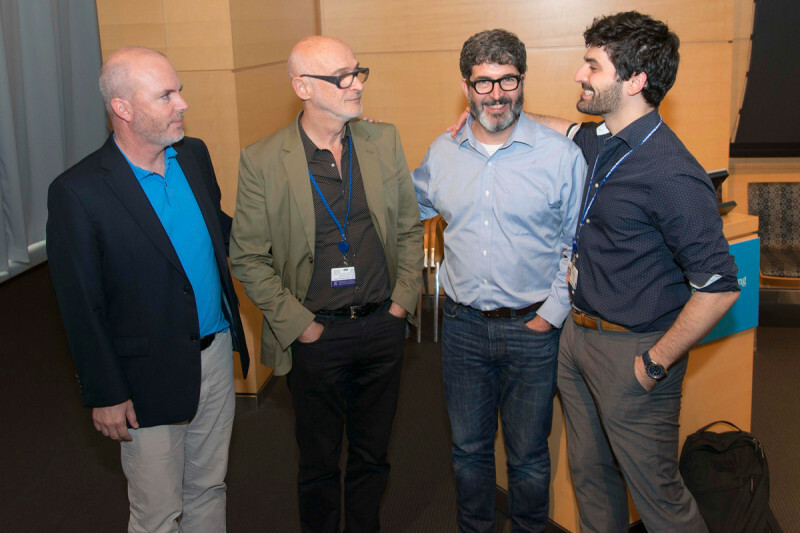 Sasha Rudensky (center left) with former students and colleagues Greg Barton (left), Jason Fontenot (center right), and Nicholas Arpaia (right). 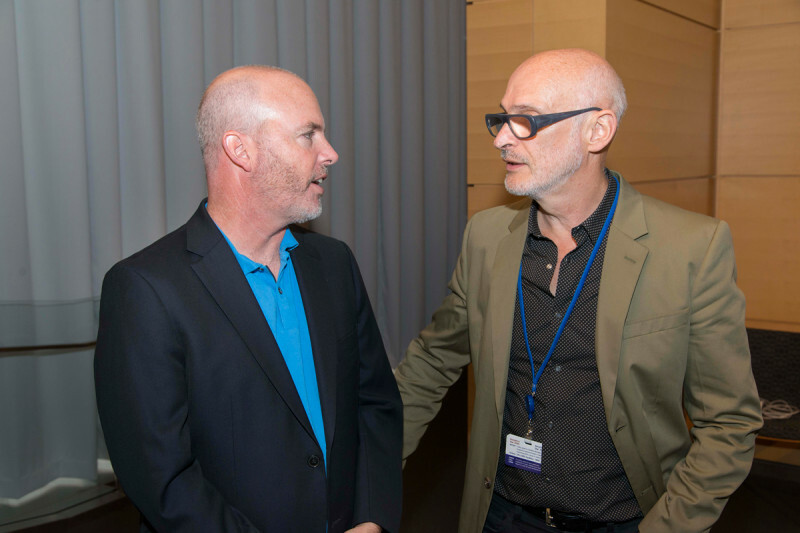 Dr. Rudensky with Dr. Barton of the University of California, Berkeley. Dr. Rudensky with his wife, Lucy. 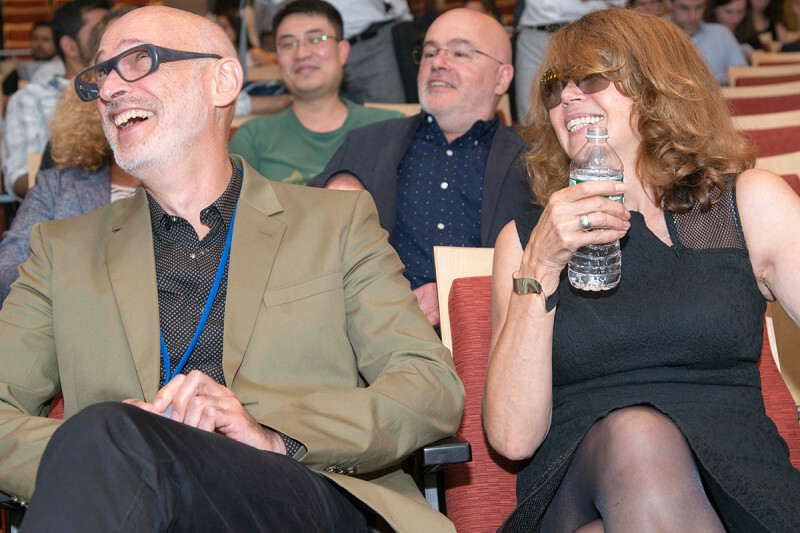 The symposium featured talks from experts in immunology from around the world. 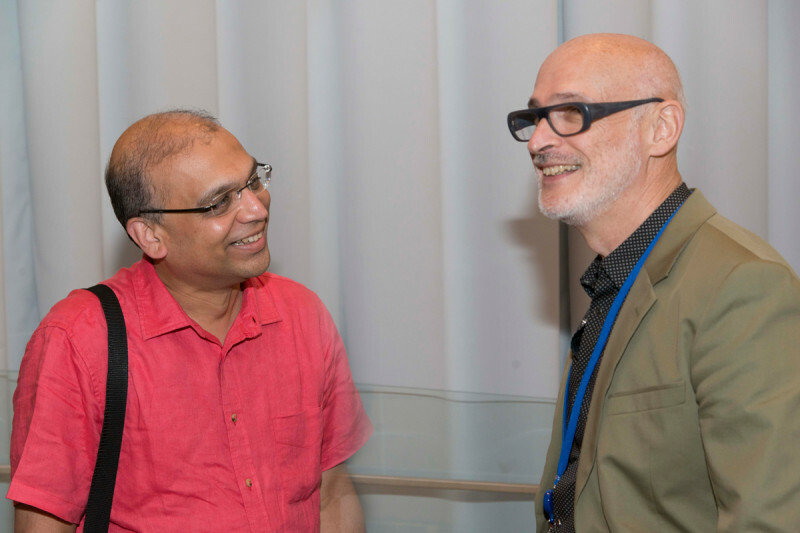 Dr. Rudensky catches up with a colleague at the symposium. 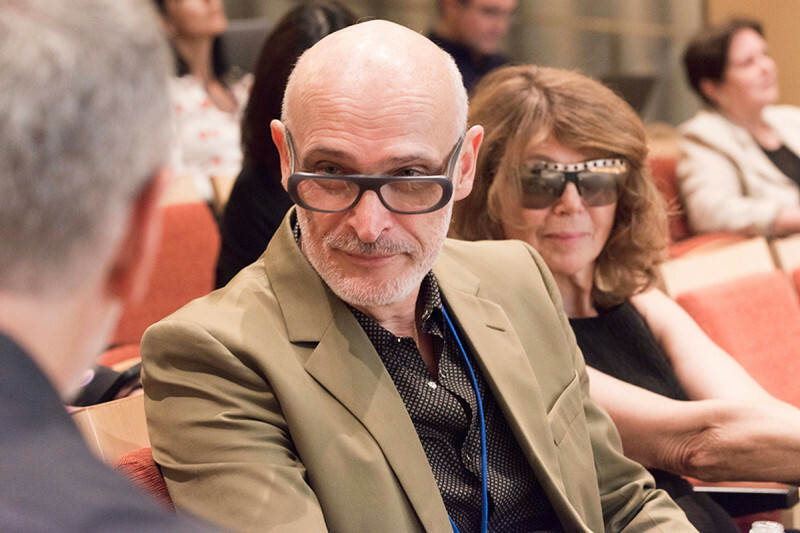 Immunologist Sasha Rudensky turned 60 years old on Friday and researchers came from around the world to celebrate his influence. 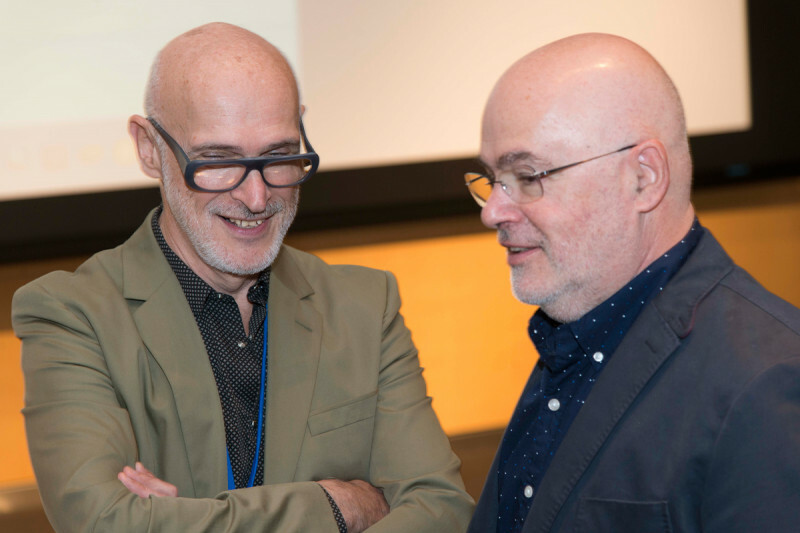 On Friday, scientists from around the world flocked to Memorial Sloan Kettering for a symposium celebrating the work of Sasha Rudensky, Chair of the Immunology Program at the Sloan Kettering Institute and Director of the Ludwig Center for Cancer Immunotherapy at MSK. Dr. Rudensky turned 60 years old on Friday, and the symposium was part scientific conference, part birthday celebration. 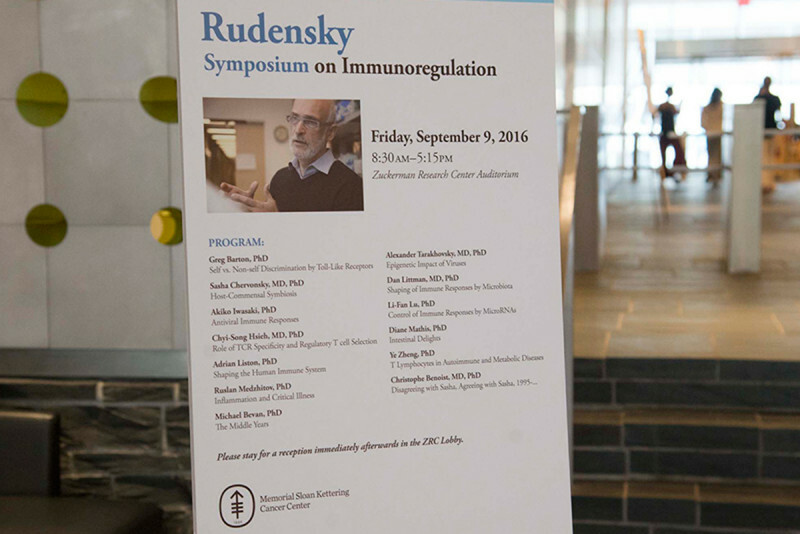 Dr. Rudensky is best known for his work on a class of immune cells called regulatory T cells (Tregs). These are guardian cells that help to rein in immune responses once they are no longer needed. They help to ensure immune homeostasis, and also protect the body from autoimmunity — when the immune system attacks normal tissues. He made a seminal discovery about Tregs in 2003 when he showed that a protein called Foxp3 is the main genetic control switch for Treg development. Research into Treg development and function promises to enhance our ability to combat many diseases, including autoimmunity and cancer. By selectively targeting Tregs in cancer, for example, researchers hope to be able to empower our own immune systems to better fight this disease. The gathered scientists did more than praise Dr. Rudensky’s substantial scientific contributions — they also commended his mentorship and friendship. Many speakers drew attention to Dr. Rudensky’s dry sense of humor and his penchant for telling jokes, which contrasts with what many people see as his serious demeanor. Whether Dr. Rudensky’s jokes were of the same high quality as his science was a subject of debate. A complete list of symposium participants can be found here.